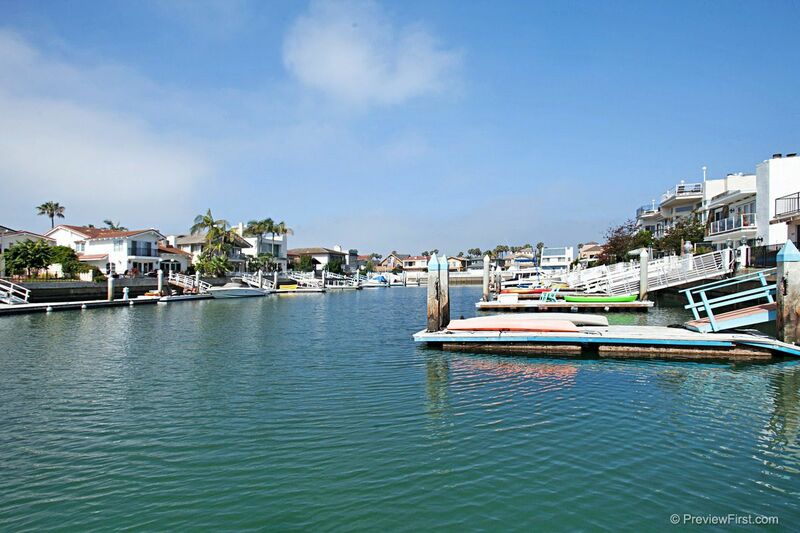 Enjoy beautiful water views/sunsets from downstairs living area. Sliding glass doors open up to outside dining and patio area with artificial grass. Additional views of channel from spacious upstairs master bedroom. Park up to two 50 ft. yachts. This home has lots of natural light and is well-appointed with 4 bedrooms, 2.5 baths. There is an additional room which can be used as an office or guest/maid room near the kitchen. New interior paint throughout home and garage.